Ever wonder what this smile is about? Or what is he up to in dreamland when he does this? Indeed, sweet dreams are golden moments. Parents want their babies to have the bestqualitysleep possible. Any mother will tell you how valuable it is when her baby sleeps through the night.Pampers understands the importance of a good night of quality sleep for baby and for the family. 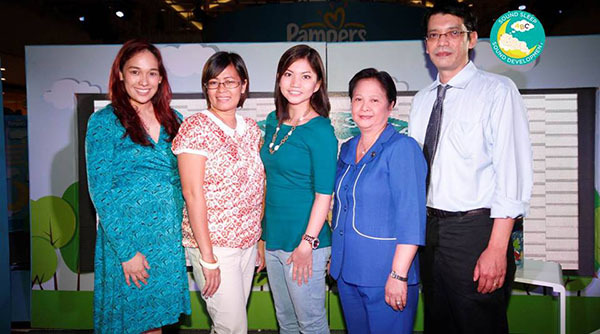 Pampers launches today theSound Sleep, Sound Development campaign, in partnership with the Mother & Child Nurses Association of the Philippines (MCNAP). “This campaign aims to educate moms on the importance of complete night-time sleep for babies. We acknowledge that when baby sleeps through, night after night, it is a key step in baby’s development,” says Pampers Brand Manager Camille Aquino. Sleep experts MCNAP President Alicia Estiller and Philippine Society of Sleep Medicine (PSSM) Dr. Luis Rivera Jr. also agree that complete night-time sleep is very important to baby’s development and growth. It is associated with more positive daytime behavior, mood and temperament, and better physical functioning,” adds Mrs. Estiller. 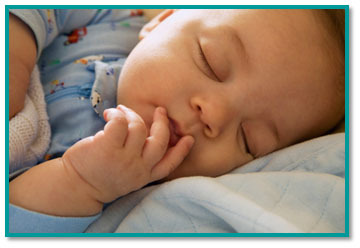 However, many factors can disturb a baby’s sleep or lead them to wake fully, such as hunger, illness and discomfort. “That is why moms should learn to identify these external factors so they can appropriately address baby’s concerns,” says Dr. Rivera. Mom knows that part of being a good mom is to check baby’s diaper for wetness. However, she’s doing more harm than good because this interrupts baby’s sleep. “Sleep deprivation is associated with stunted growth, weight problems, low attention span, delayed learning and behavioural problems,” shares Estiller. To minimize baby’s discomfort during sleep, mothers often take steps to prevent diaper wetness during the night. A clinical study by scientists at Pampers highlights what they call the ‘wetness wake-up call’ — a direct link between urination and sleep disturbance. Receptors in a baby’s skin can easily sense the feeling of wetness, acting as little ‘alarm clocks’ that could potentially wake the baby. In light of this insight, a team of ‘dryness experts’ at the Pampers Schwalbach Technical Centre in Germany came up with a study to help silence the ‘wetness wake-up call’. The team formulated the unique 4-layers + gel technology to effectively absorb and lock wetness away from baby’s skin. When tested, this new technology helped reduce the chance of the baby’s skin sensing wetness and helped baby to sleep soundly. No need for mom to disturb baby’s sleep when she checks the diaper. Pampers thus acts as a sleep enabler that helps establish a night-time pattern of sleeping through the night, night after night. To help moms better understand what complete night-time sleep means for babies, Pampers creates an interactive exhibit giving moms a glimpse of what goes on inside their baby’s brain while they are sleeping. Mommy bloggers Frances Amper-Sales (far left) and Pehpot Pineda (second from left) open the exhibit with a very enlightening discussion about the challenges of putting babies to sleep and ensuring complete night-time sleep. Estiller shares common sleep myths, facts and tips to ensure quality night-time sleep for babies. Philippine Society of Sleep Medicine (PSSM) Dr. Luis Rivera Jr. also reveals what complete sleep does for babies’ brains. Four booths are showcased in the exhibit showcasing the baby’s dream world and providing key information to help moms better appreciate the importance of complete night-time sleep to babies.Informational highlights of the booths are current sleep practices of babies through a sleep survey among moms, different interactive games to help moms better understand their baby’s sleeping habits, and the positive and negative effects of complete sound sleep towards baby’s holistic development. A special booth, which serves as Mom’s Helpdesk is also open for free consultation and product demonstration with Sleep Experts. Pampers Comfort not just protects baby’s complete sleep against wetness, but also strengthens mom’s belief that she is providing her baby with the best possible care to achieve optimum brain development. Through the Sound Sleep, Sound Development campaign, more moms will understand and better appreciate the importance of sleep. To find out more about the Sound Sleep, Sound Development campaign, please visit the Pampers Facebook page and watch out for Pampers activity in supermarkets near you. This entry was posted in Advocacy, Event, Kids, Mommy Moments, Motherhood, Press release and tagged baby, baby development, importance of sleep to baby's development, sound sleep on September 12, 2013 by Mommy Yam.